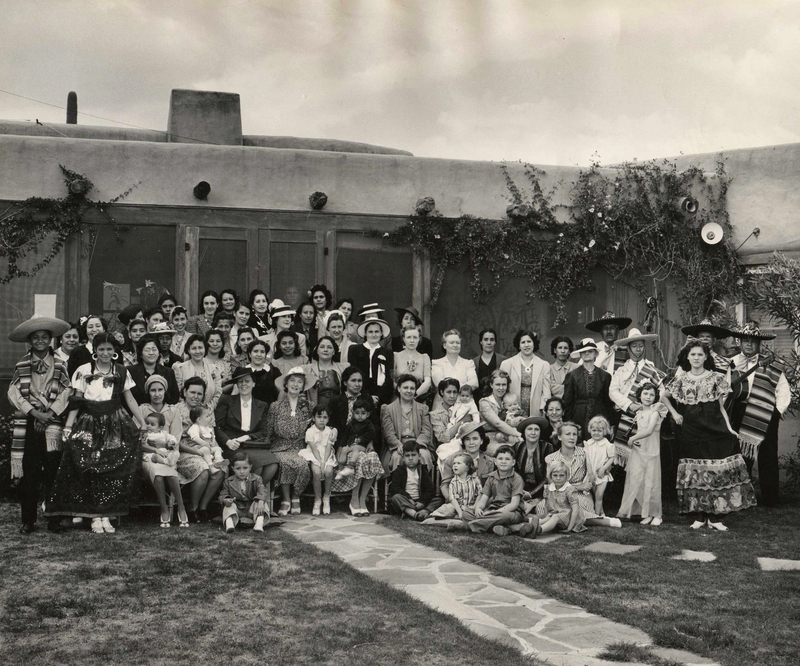 Margaret Sanger, and a few guests, at her home in the Tucson Foothills, circa 1941. Editors’ note: Happy Women’s History Month! We’re excited to celebrate with you by continuing our series on the life of Margaret Sanger. If you’ve lived in Tucson, it’s likely that you’ve passed by one of Margaret Sanger’s erstwhile residences. In the 1930s she lived in Tucson’s Foothills and by the next decade she lived on Elm Street, close to the Arizona Inn and the university. About 10 years later, she helped to design a new house in the Catalina Vista neighborhood. This adobe house was in the Foothills of Tucson, purchased in April 1933. Sanger and her husband, J. Noah, had a famously contentious relationship and maintained separate apartments within their home; Sanger’s was on the ground floor in the front area of the house.